RealPresence is a video collaboration and conferencing platform for businesses of all sizes. It offers high-definition content sharing solutions for web, desktop, and mobile devices. Ready to try RealPresence? Get a free trial. As of the date this article was written (01/31/19), there are no recent user reviews of RealPresence online. If you are a past or current RealPresence customer, leave a review to help other small business owners who are deciding whether or not to use the service. RealPresence doesn’t publish its pricing plans online. However, similar providers offer pricing plans that cost around $10 to $100 for packages with basic inclusions, while more extensive ones cost around $200 to $500+/month. Interested parties may contact sales support to get specific pricing details based on their business needs. Ready to try RealPresence? Get a free trial. 6 Best Video Conferencing Software for 2018 — Video conferencing software helps business owners meet with clients, customers, and remote workers over the internet using computers or mobile apps when face-to-face meetings aren’t feasible. 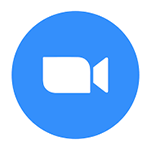 In this guide, we looked at a range of video conferencing services and compared the top six to learn which services stood out and which is the best overall based on its price, ease of use, support access, and features. What industries does RealPresence cater to? RealPresence provides services to a wide range of industries including education, healthcare, manufacturing, financial services, government, entertainment, and more. 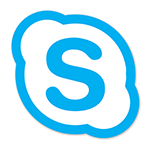 What measures does RealPresence take to ensure secure communication? 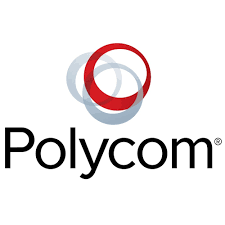 Polycom, the maker of RealPresence, implements a layered defense-in-depth approach to protect information in products and systems from unauthorized processing. It has also been awarded ISO/IEC 27001:2013 certification for their Information Security Management System (ISMS). ISO/ IEC 27001 is the most widely accepted international standard for information security best practices. Not sure if RealPresence is the right fit for you? Read our reviews of all top video conferencing software providers or check out one of these three RealPresence alternatives.